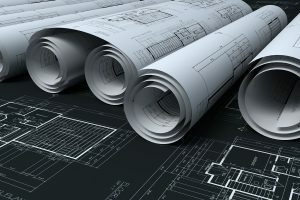 To drive the business process, outsourcing CAD service would be a wise decision. It does not only save the overhead costs, but also helps to streamline your businesses. CAD outsourcing services create an environment where one can manage and execute projects in a more efficient way. CAD basically stands for Computer-aided design. It’s a kind of computer technology that is used to design and develop various documents. It has replaced manual drafting eternally, which was indeed a time-consuming activity. As the world is going digital, its big impact can be seen on today’s business world. CAD is another step in terms of automating the process. CAD does not enable you to excite the tasks in a better way, but it has saved a huge time of company. CAD helps to explore new ideas of design and development, which can be easy for someone. Benefits one can enjoy by adapting the CAD services, no matter you are outsourcing the CAD designs to an individual or any organization. Add a functional and technical edge on the competition. Increase the overall performance and improve the efficiency. Helpful in managing the e-business infrastructure. Minimizes the operating cost and saves the money on manpower and training costs. Many companies live with a misconception that outscoring is a subject of big investment, which is actually not at all true. Outsourcing is indeed cost-effective and helps to get rid of overheads costs, which spend on established an expert team. Moreover, CAD services also save the cost of infrastructure that one set-up for the team. 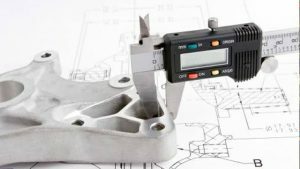 By outsourcing, you can increase your professionalism as the CAD service provider is backed by professionals who carry the experience of workings using latest technologies. Certainly, by outsourcing, one gives a professional touch to the work. In order to compete with counterparts, outsourcing can be perfect way to increase the professionalism. Accordingly, productivity of the company gets increased along with quality. Time is really valuable; therefore it is important to make a proper schedule using the CAD services to meet the deadline. Even if you have an interest in artwork services, Zeal Cad is perfect for your business. Talk with the experts and get the right guidance while solving the queries related to the CAD services. Here, you can also get the reliable drafting services for your process. Apart from this, we also provide 3D CAD modeling services. We collaborate with the clients to convert the conceptualized idea into the realistic one. The 3D CAD modeling services are utilized for improving the business processes and allow quick design review. Being a trustworthy company, our services give an opportunity to your team to plan better about their manufacturing and assembling process at the time of developments. It’s time to improve the quality of design and enhance the productivity by making the documentation easy and prepare them according to the international standards. By reducing the designing time, we offer the best visualizations to the clients and save their cost.